Power-up your Digimon with various effects. Digimon All-Star Rumble will have collectible in-game Digicards that can be used to power-up your Digimon, Bandai Namco announced at the Tokyo Game Show. 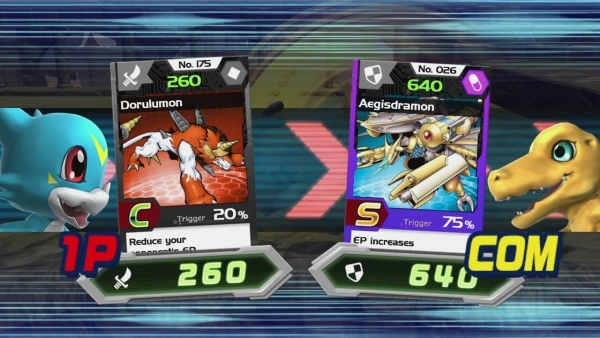 Digicards are both offensive and defensive, and are activated at the end of player combos to add various effects, such as explosions, shockwaves, increased attributes, or hidden “Super Forms.” Players can equip up to two Digicards to their Digimon before entering the battle arena. The Prope-developed fighting game is due out for PlayStation 3 and Xbox 360 on November 11 in North America and November 14 in Europe.